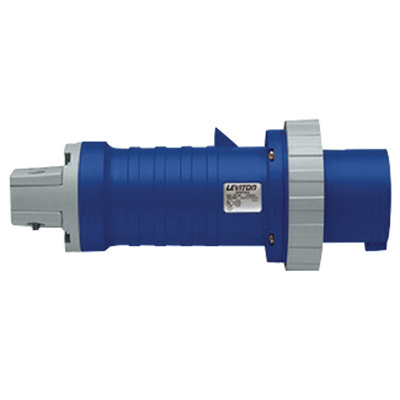 Leviton Water tight, industrial grade pin and sleeve plug endures 1000 connects and disconnects under load, at full rated current and voltage. It is made of Valox® 357 to provide protection against corrosion. This water tight and corrosion-free plug avoids the contamination between main and tap. The pin and sleeve plug meets UL listed 1682 and 1686, CSA certified C22.2 No 182.1, IEC rating 60309-1 and 60309-2, CE marking: per low voltage directives 73/23/EEC, 93/68/EEC standards.